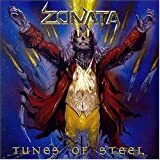 ZONATA THE MOURNER'S TALE LYRICS"
Forever lost, why can't it start? It's gone, and now it has decayed. It's dripping from the knife. All Zonata - The Mourner's Tale lyrics are property and © copyright of their respective owners. All The Mourner's Tale lyrics provided for educational purposes only.